With an imposing–yet sophisticated–stance, the new Mercedes-Benz GLA 250 provides quite the bounty of luxurious amenities that you’ve come to expect from a brand like Mercedes-Benz. 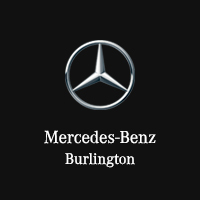 Explore what this impressive crossover can offer you and yours at Mercedes-Benz Burlington! Contact us to find out your financing options, or to set-up a test drive of this impressive vehicle. What’s in Store with the GLA 250? For starters, the GLA-class boasts some incredible features inside and out, from a 7-inch independent central screen, a new KEYLESS-START function, and luxurious upholstery. The Mercedes-Benz GLA 250 4MATIC stands tall on 18-inch alloy wheels among chiseled flared wheel arches. Additionally, an available power tailgate makes loading an unloading a breeze, especially if you have an arm-full. For safety, a notable feature is the innovative Active Brake Assist, which alerts to an oncoming crash, and applies 60% braking force to help avoid a crash or reduce serious damage. There’s no doubt that the Mercedes-Benz GLA 250 is mighty impressive crossover, and you can try it for yourself near Milton and Hamilton at Mercedes-Benz Burlington!